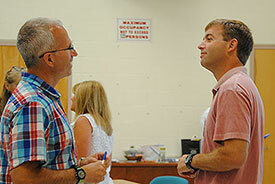 This summer, teacher sightings are not exactly rare in Warwick. 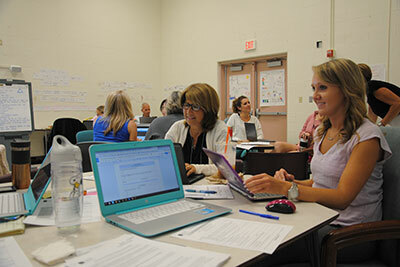 The District has been humming with activity as teachers and administrators attend professional development sessions, collaborating to enrich curriculum and improve learning for students district-wide. 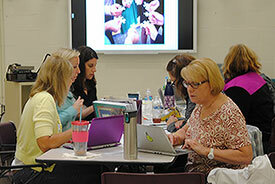 This week, as part of the EPA grant awarded to the District last year, The Children’s Environmental Literacy Foundation (CELF) conducted a Summer Institute with teams of teachers at all building levels. 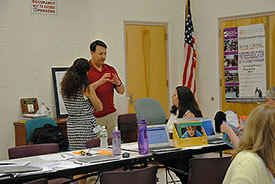 CELF facilitators Alan Cass and Aimee Østensen worked with Warwick educators to help integrate a sustainable curriculum at all grade levels. Teachers focused on learning about Education for Sustainability (EfS) concepts and how to use EfS as an integrating context for student learning and community actions. Teams of teachers from the high school, middle school, and the two elementary schools explored how they might adjust their lesson plans and align their curriculum to integrate lessons in sustainability and the environment. With its wealth of local resources and an already sustainably-minded community, “Warwick can really become an exemplary district in these kinds of practices,” said Mr. Cass. 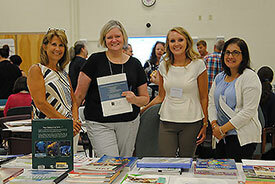 The Summer Institute on Environmental Literacy will help establish a foundation for the four Warwick school teams to develop a learning community, within their own schools and across the District. The goal, as outlined in the EPA grant, is to include environmental instruction and sustainability as part of the curriculum, and eventually for those ideas and practices to become part of the campus culture.